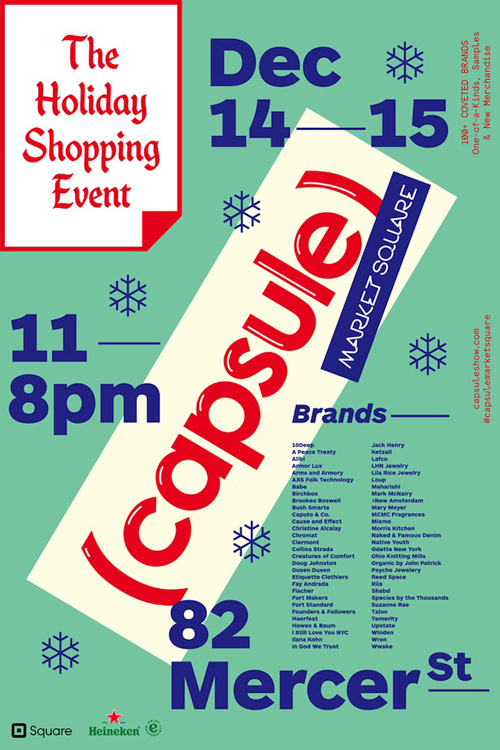 Explore the Capsule Market Square — the first-ever Holiday pop-up shopping event created by Capsule and BPMW Agency. An amzing selection of one-of-a-kind pieces, men’s and women’s fashion, accessories, home goods, art and furniture. There will be overstock, samples, current merch and special products. Come for the brands and stay for the surprises, bargains and treasures.